Jaan Pärn is one of the most famous Estonian jewelry artists whose pieces have attracted wide attention both in Estonia as well as abroad. In 2000 he received a silver medal in an international jewelry contest of XI Benevenuto Cellini. He has been cooperating for years with a famous German stone polisher Dieter Lorenz. 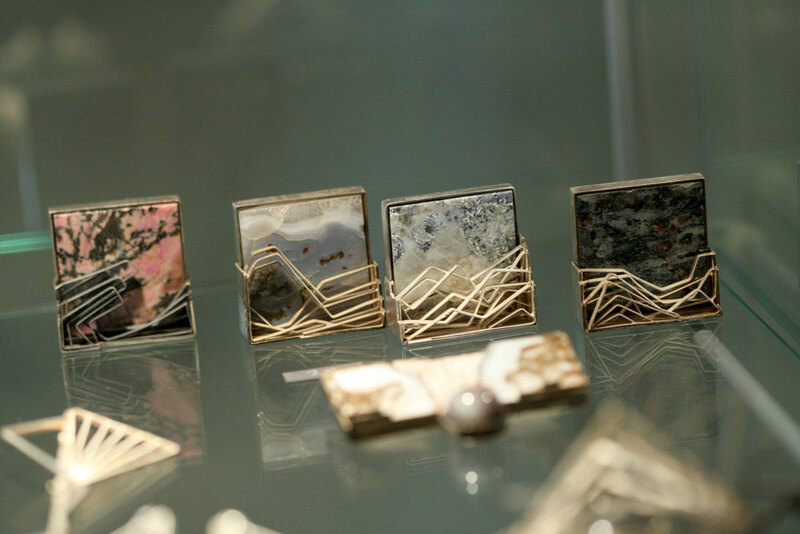 In order to create necklaces, brooches, earrings and rings the artist uses Silver and gold, colorful gemstones and precious jewels. Often the idea comes from the stone – especially inspiring for the artist are agate and amethyst quartz that have a unique pattern. When they are framed to the metal in a suitable way, they become into emotional landscape pictures. Another part of Jaan Pärn’s works is jewelry where the artist uses filigree to make the pieces into precious architectural masterpieces. During the recent years he has been using a lot of amber and lava stone, too. It is possible to submit special orders for the jewelry.